Chisenhale Gallery is pleased to announce a major solo exhibition by Florian Hecker, his first in a UK public institution, comprising a new installation of sound pieces co-commissioned by Chisenhale Gallery, London and IKON Gallery, Birmingham. Hecker's new commission continues his investigation of sound in relation to the body and space, employing idiosyncratic psychoacoustic propositions in order to examine and disrupt spatial perception. At Chisenhale Gallery he will present a series of four independent, electro-acoustic works that lead the visitor around the gallery space, where each work exposes a fault line in the traditional categorizations of auditory events, auditory objects or streams. The works range from a 5-channel piece where the perceptual organisation of a sequence of tones changes according to the position of the visitor to an apparently monophonic piece in which a single, directional loudspeaker points towards a tiled section of the wall; here, the localisation of the emitted sound oscillates between the speaker and the reflective white surface. 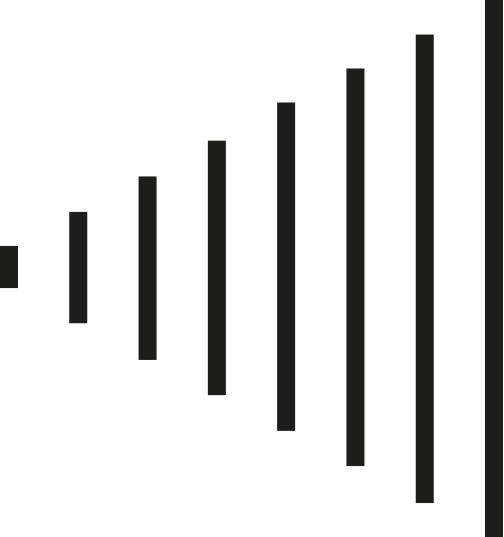 2 x 3 Channel consists of two separate 3-channel pieces which rotate simultaneously - one clockwise, the other counter clockwise - around three speakers. A seemingly ever upward moving sonic structure alternates with a sequence of tones illustrating Diana Deutschs Tritone Paradox. The final 2-channel piece, Magnitude Estimation, features a voice reading the loudness values of a given sound. These same utterances are emitted synchronously from an opposing loudspeaker, creating an auditory chimera while doubling the voice, the signification and the measurement of what one hears. The display of loudspeakers - either suspended from the ceiling or wall mounted - creates a multimodal amalgamation of auditory and spatial components, constructing an invisible architecture within the gallery, where boundaries are demarcated by the transitions between one sound work and another. Hecker was born in 1975 in Kissing, Germany. Working in performance, studio and installation, he frequently collaborates with acedemic researchers in auditory perception and computer music, as well as with other artists such as Russell Haswell, Carsten Holler and Cerith Wyn Evans and Aphex Twin. He has presented his work internationally including most recently at the 53rd venice Biennale; BAWAG Contemporary, Vienna, Austria; Evento, Bordeaux, France; The Morning Line, Youniverse, 3 Bienal Internacional de Arte Contemporaneo de sevilla, Spain; Mori Art Museum, Tokyo, Japan (2009); Manifesta 7, South Tyrol, Italy, (2008); Musee d'Art Moderne de la Ville, Paris, France, (2006). Forthcoming exhibitions for 2010 include MMK: Museum of Modern Art, Frankfurt, Germany. Hecker is also a regular performer and has an extensive discography including Haswell & Hecker, Blackest Ever Black, Warner Classics (2007) and his most recent release Acid in the Style of David Tudor, Editions Mego (2009). A limited edition print by Florian Hecker has been produced to accompany the exhibition. For more details please visit our online shop, here. Robin Mackay, philosopher and editor of the journal Collapse, will discuss how Florian Hecker's engineering of perception-as-hallucination invokes a fundamental philosophical question that haunts the scientific discipline of psychoacoustics: What is an (auditory) object? Florian Hecker's Chisenhale Gallery exhibition continues his investigation of sound in relation to the body and space, employing idiosyncratic psychoacoustic propositions in order to examine and disrupt spacial perception. To accompany his exhibition Hecker has produced a new limited edition print directly relating to the 2-channel work Magnitude Estimation, which features a voice reading the loudness values of a given sound. These same utterances are emitted synchronously from an opposing loudspeaker, creating an auditory chimera while doubling the voice, the significaion and the measurement of what one hears. In a style referencing representational formats of classical conceptual art, Hecker's hand-printed edition depicts the first three loudness values of the piece in text. Florian Hecker (born 1975, Augsburg, Germany) lives and works in Kissing, Germany. Working in performance, studio and installation, he frequently collaborates with academic researchers in auditory perception and computer music, as well as with other artists such as Russell Haswell, Carsten Holler and Cerith Wyn Evans and Aphex Twin. He has presented his work internationally including most recently in group exhibitions at Nottingham Contemporary (2013); Museum of Modern Art, New York (2013); Museum of Contemporary Art Tokyo; Neuer Berliner Kunstverein (n.b.k). Berlin; Institute of Contemporary Art, London; dOCUMENTA (13); Kassel (all 2012). Solo presentations include Sadie Coles HQ, London (2012), MMK Museum für Moderne Kunst, Frankfurt, Germany; Ikon Gallery, Birmingham and Chisenhale Gallery, London (all 2010). Hecker is also a regular performer and has an extensive discography including Chimerization (2012), Bregman / Deutsch Chimaera – 47 minutes in bifurcated attention (2011) and Speculative Solution (2011). More recent live performances took place at Solomon R. Guggenheim Museum, New York (2013), Centre Georges Pompidou, Paris (2012), Tate Modern, London and Museum of Contemporary Art Kiasma, Helsinki (both 2011). Robin Mackay: What is an (auditory) object?